One of the unwelcome side effects that comes with being a sneaker enthusiast is the lack of closet space to store your most prized possessions. Enter Sole Stacks, which aims to revolutionize the sneaker storage game through a new Kickstarter campaign. 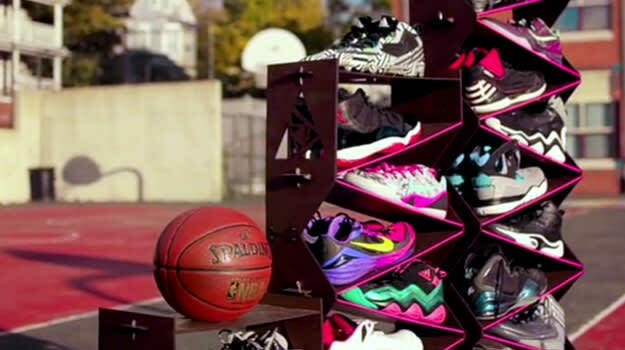 With a simple design based around the natural shape of sneakers, Sole Stacks offers maximum storage in minimal space. Whether you stack the units on top of each other or drill them to the wall, Sole Stacks is both practical and aesthetically pleasing with its display capabilities. With new signature lines like the Nike Kobe X and Kyrie 1 set to launch, now may be the time to invest in some space-saving technology. Find out more about Sole Stacks in the video below and head over to Kickstarter if you&apos;re impressed by the prospects of more space.